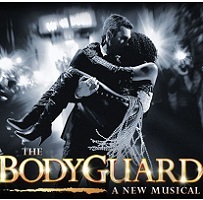 The Bodyguard the Musical is based on the smash hit film which starred Kevin Costner and Whitney Houston and features a whole host of Whitney Houston's greatest hits. When former Secret Service agent Frank Farmer is hired as a bodyguard to protect superstar Rachel Marron from an unknown stalker, the last thing either expect is to fall in love. Based on the smash-hit film, The Bodyguard is a romantic thriller featuring a whole host of Whitney Houston's greatest hits including, I Have Nothing, Queen of the Night, How Will I Know, I Wanna Dance With Somebody and one of the greatest hit songs of all time, I Will Always Love You.